Creepy? 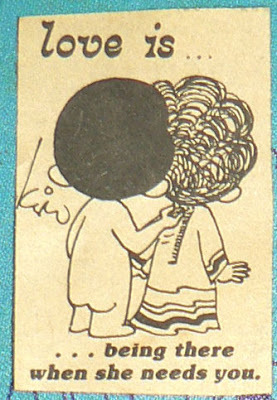 LOL We had one of those cartoons on the cover of my senior yearbook. I have to see that whenever I get nostalgic. That cartoon is not something I'm nostalgic about. I remember them as well, and I STILL don't get it. He's "being there when she needs" him by zipping up her dress for her because she can't reach it herself. Really not all that creepy. Kinda nice. 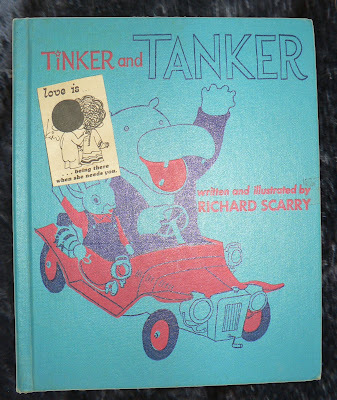 I thought I'd seen every Richard Scarry book out there, but Tinker & Tanker is a new one to me! T & T is Scarry's first book.